Lights, camera, action! Do you enjoy action-packed movies? Stories that reveal incredible strength and uncompromising character? It’s one thing when these movies are about fictional characters in imaginary places, but quite another when the story is about a real person overcoming incredible odds or displaying amazing courage and sacrifice in the real world. If you like such films, you are in for a treat. 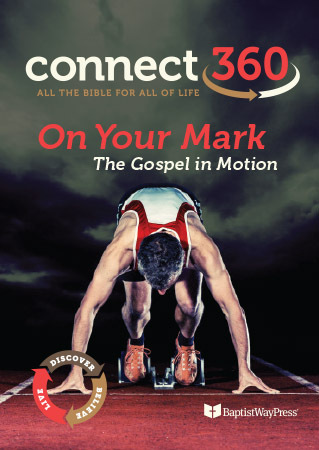 The Gospel of Mark is an action-packed story of the ministry of Jesus. The Gospel covers the three-and-one-half years of Jesus’ public ministry and reveals him as both a miracle worker and a supernatural servant. He is constantly on the move preaching, teaching, healing, and preparing his disciples to carry the gospel forward following his death and resurrection.